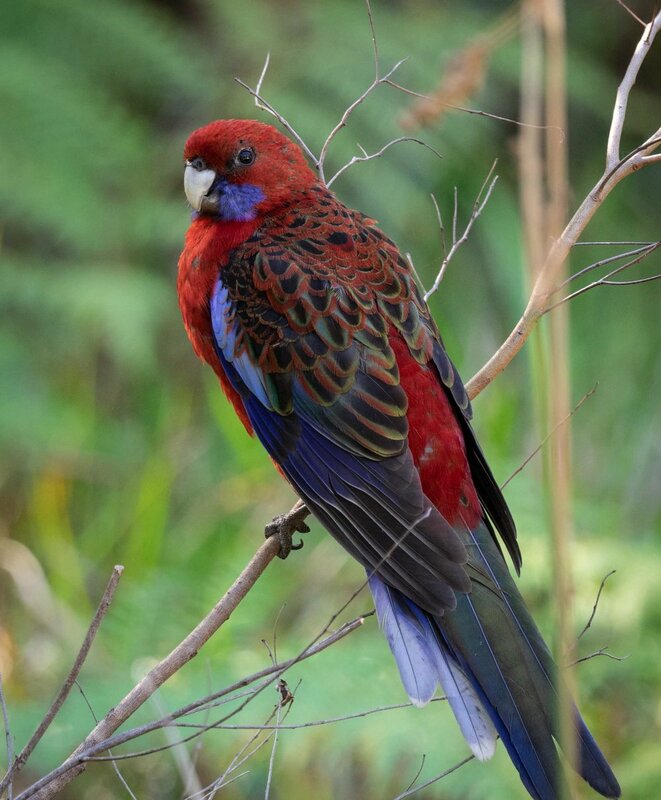 The Crimson Rosella (Platycercus elegans) is an intriguing species. It is quite familiar to people living on the Far South Coast. Some know it as the 'Mountain Lowry', and large flocks may take food from the hand in parks and other busy, public spaces. The first is that this is a highly variable species, with at least six recognisably different sub-species. Our local species – the only one we would expect to see here – is Platycercus elegans elegans. 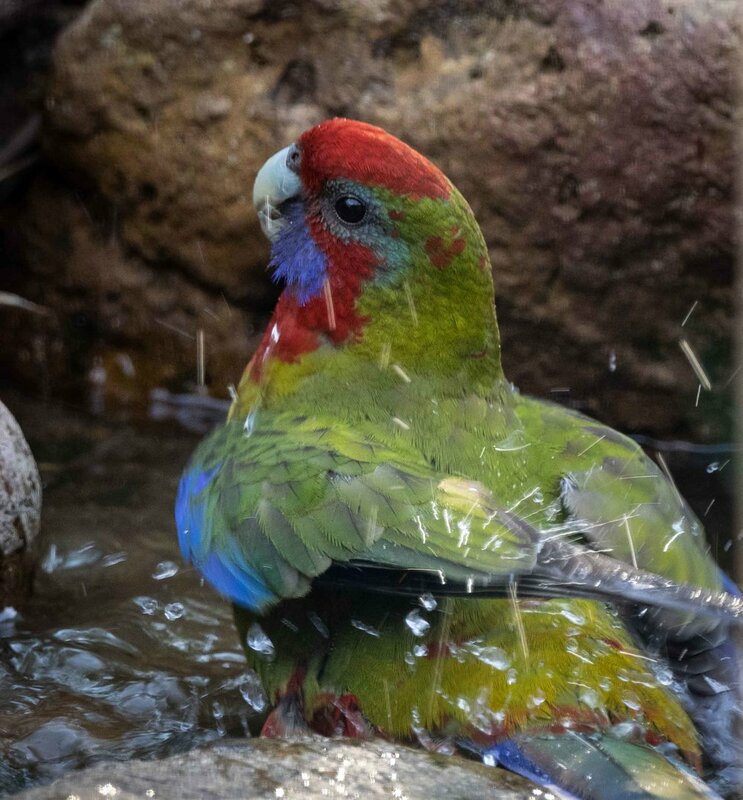 The 'Yellow Rosella' (P. e. flaveolus) and the 'Adelaide Rosella' (P. e. subadelaidae) are both Crimson Rosellas, yet their coloration is quite different. 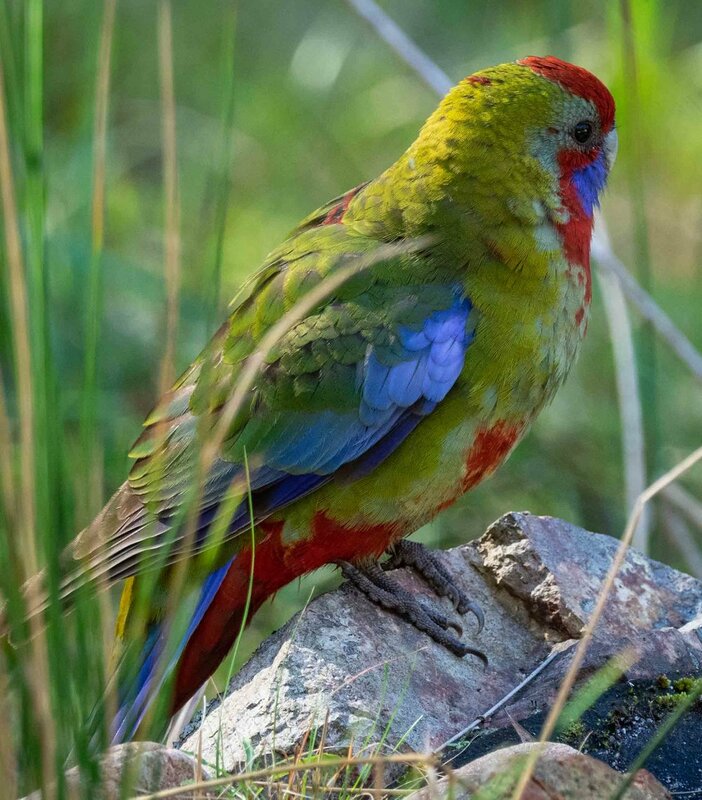 The Yellow Rosella is, well, yellow. 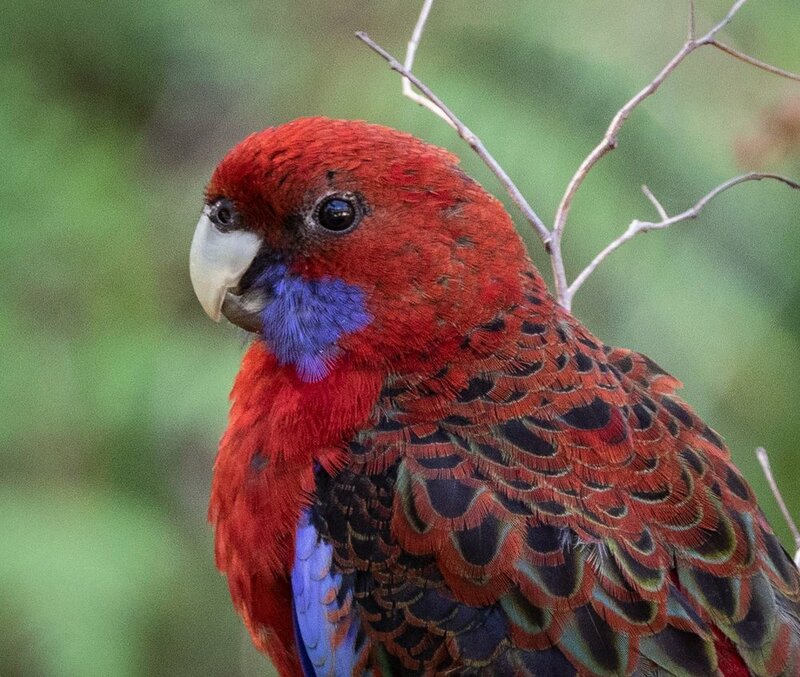 And the Adelaide Rosella ranges from yellow, through orange, to red. Many birds have different plumage as juveniles. 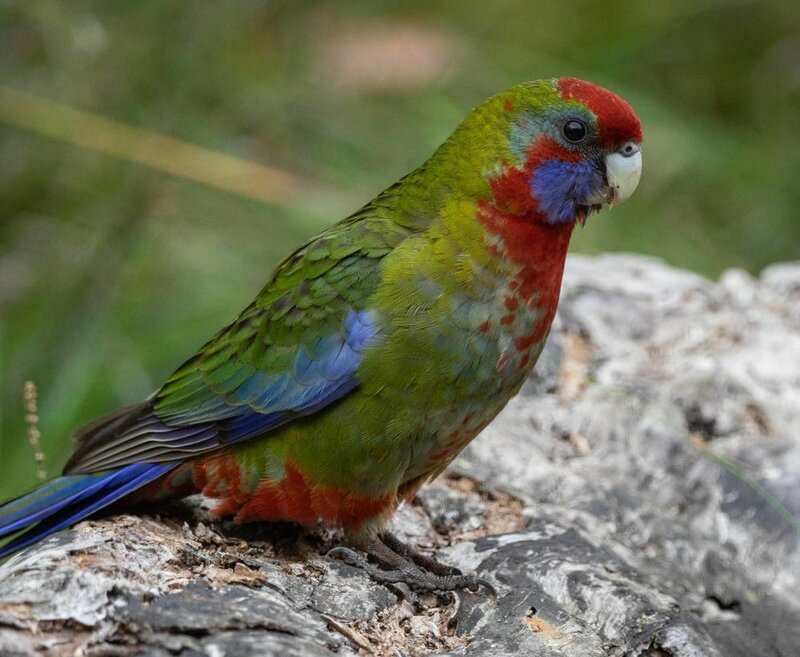 And our local Crimson Rosella does too! 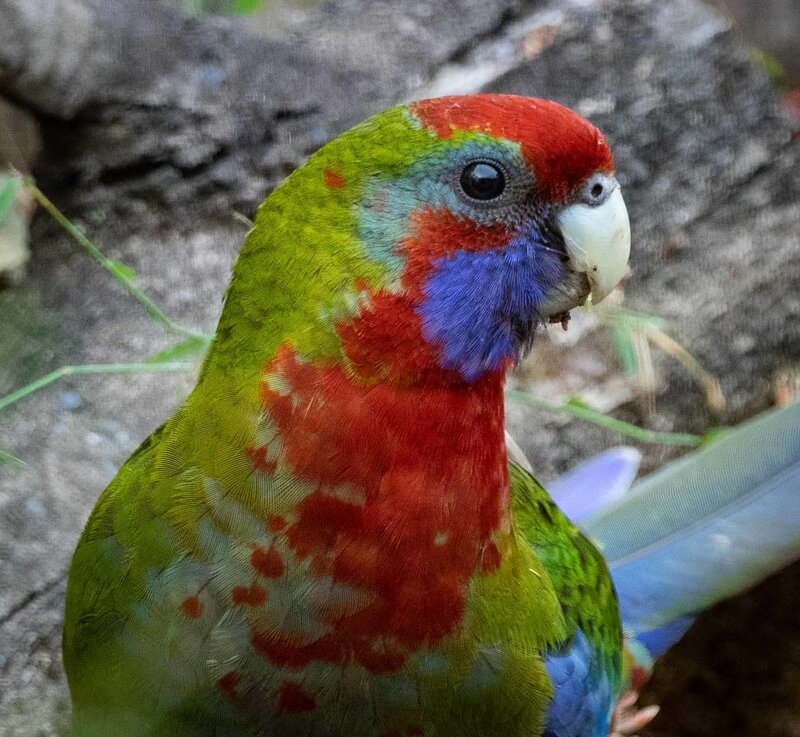 So, the Rosellas we see here – that are variously green, yellow-green, blue, and red ... or a general mixture – are all Crimson Rosellas of the same sub-species (P. e. elegans) ... but of different ages! Juvenile and immature birds are largely green – and they are remarkably well camouflaged in the grass and amongst the leaves of the forest canopy. 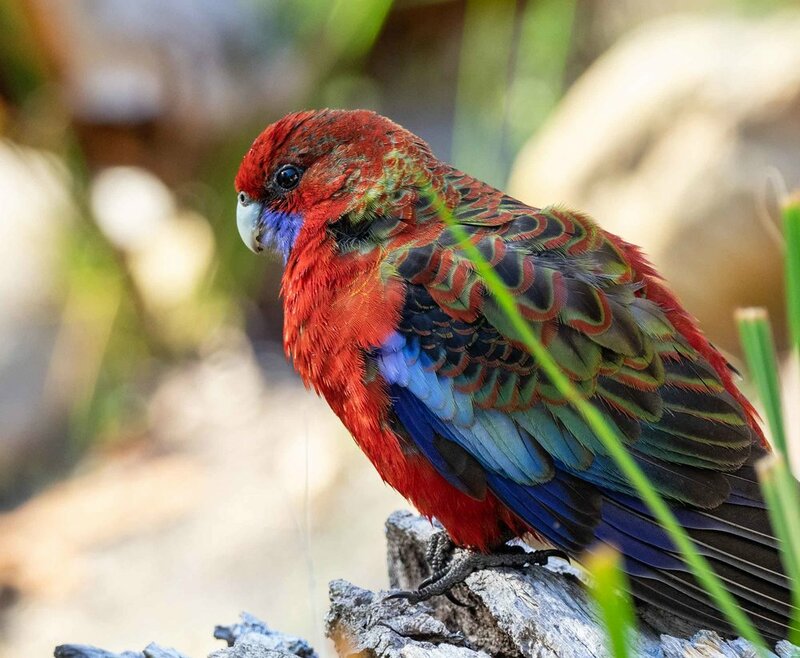 In the forest where we live, south of Eden, Crimson Rosellas are quite common - but they are typically feeding high in the canopy of tall eucalypts. We seldom get to see them up close. 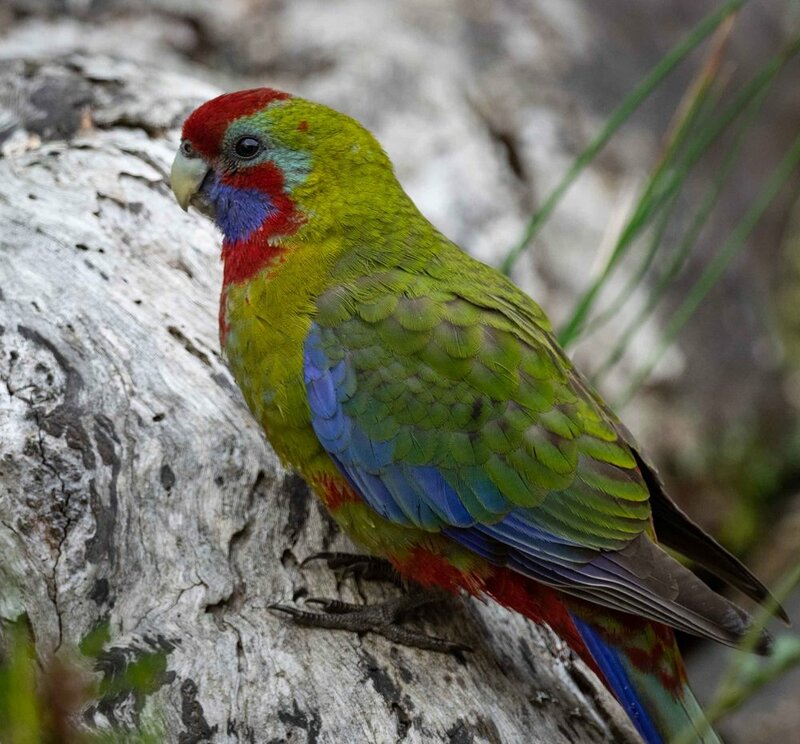 They particularly like the fruit of Eucalyptus sieberi (Silver-topped Ash), and often the only sign of their presence is the soft cracking of the fruit, and the sound of debris falling onto the forest floor. But the current drought is driving our local birds to ground. We are seeing large groups descending to drink wherever there is available water. The photos above were taken today as a group of about a dozen birds drank and bathed in the 'frog pond' alongside our house. I suspect that this uncharacteristic boldness is a combination of both youth and thirst!